Michael Bennett joins an already potent Eagles defensive line. 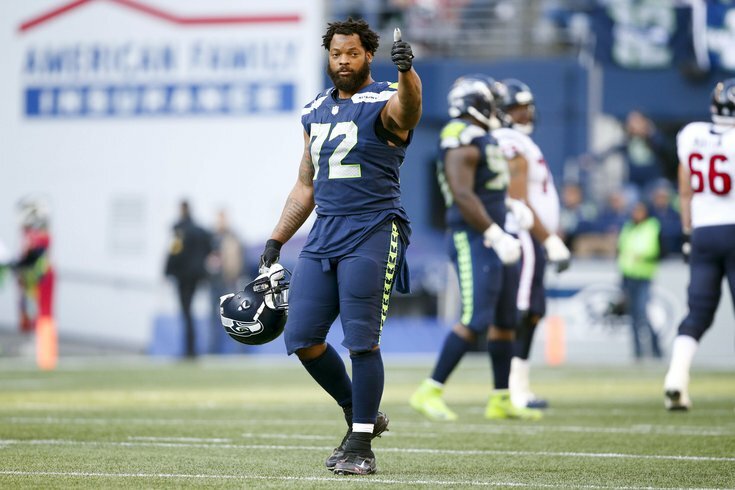 According to Adam Schefter of ESPN, the Philadelphia Eagles bolstered their pass rush this afternoon by agreeing to a trade with the Seattle Seahawks for defensive end Michael Bennett. Bennett is the prize in this trade, clearly, as the Seahawks appear to be looking to dump aging veterans with a roster that has begun its decline. Last season, Bennett had 25 tackles and 8.5 sacks. Over the last six years, he has 48 sacks and 10 forced fumbles. Bennett can still play, but he's 32 years of age, and will turn 33 in November. The Bennett trade likely doesn't bode well for Vinny Curry's future in Philadelphia. Earlier this week, it was reported that Curry would be released, and then (oops) maybe restructured, and then (oops again) maybe traded. It is now likely that he'll either be traded or released, with the latter being the more likely scenario. Assuming Curry is the odd man out, the Eagles' defensive ends are now Brandon Graham, Michael Bennett, Derek Barnett, and Chris Long. Graham and Bennett are both also versatile players who can kick inside to defensive tackle on obvious passing downs, as Graham did when he forced a fumble of Tom Brady in the Super Bowl. The Eagles' already very good pass rush got even more dangerous today.